It’s oyster season in San Francisco! And, along with the dungeness crab season that comes later in November, it is one of my favorite times of year in the Bay Area! San Francisco is lucky to have oysters all year round, but at this time of year, there are far more varieties to choose from. 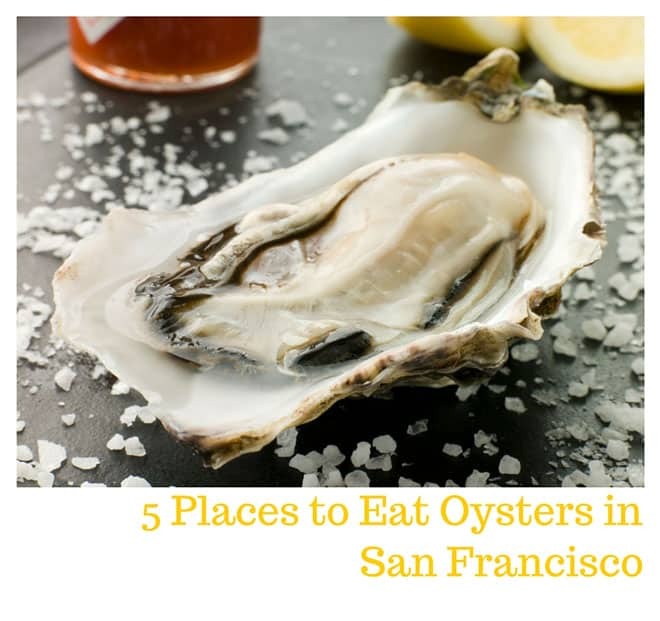 I wanted to share my favorites so here are 5 places to eat oysters in San Francisco. 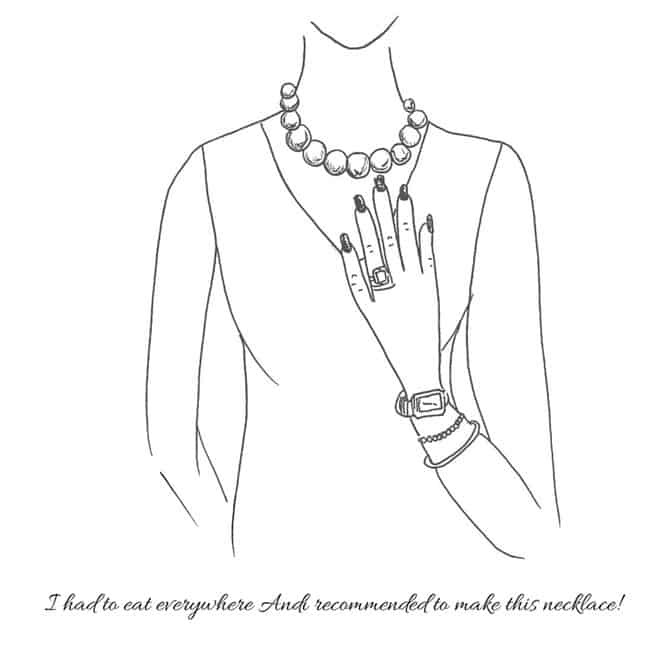 And maybe, just maybe, if you hit all these places, maybe you’ll end up with enough pearls to make a necklace as my friend and illustrator Carrie Campbell depicts below (thanks Carrie!). A beloved spot for tourist and locals alike, Hog Island Oyster is popular for a reason. They offer local (and regional) sustainable oysters with delicious wines and beer to wash them down. The vast majority of their oyster comes from their oyster farm in Marshall, on Tomales Bay, and they even have farm tours. Check them out in the Ferry Building (go early to avoid lines) or in Napa at the Oxbo Market if you are out in wine country. P.S. If you’ve got a non-oyster loving friend in your dining group, they make a killer grilled cheese sandwich. I confess, I go to the Waterbar for their lobster roll, fried pickles, and fabulous martinis, but they also have a fantastic oyster bar. 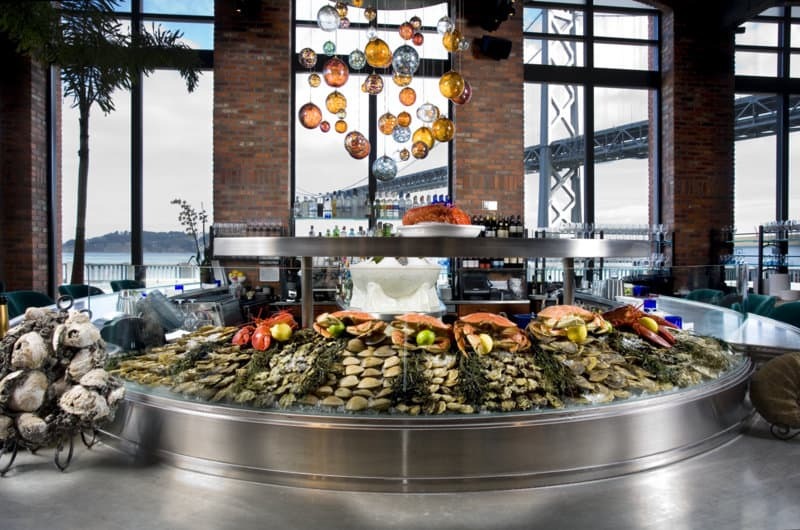 You can not find a better view of the Bay Bridge (they’re located right on the Embarcadero), they’ve got a great terrace for outdoor dining as well, but I love to sit at the zinc bar and fill up on delicious oysters, especially during happy hour (more on those later). People either love or hate the Swan Oyster Depot. The most common description about the counter in the 100+ year old fish market is “no-frills.” Personally, with the quality of oysters they serve, I don’t care about the frills! I will say, given the size of the counter, it is extremely tough to get into, but so worth it. Go early to the Nob Hill location (1517 Polk St) and make friends, the service is great (all family) and please note it is CASH only! I am not sure if I love Anchor and Hope for its oysters or their housemade potato chips! Paired with a beer, sometimes I never want to leave. Besides the fresh oysters which are always amazing they have a dish called ‘Angels on Horseback’ which are smoked bacon wrapped oysters served with a remoulade sauce, worth every bite! I know you are here for oysters, but they have one of the best fish and chips in town as well! Serving out of its Castro Street location since 1977, the Anchor Oyster Bar has a loyal following and was just added to the Michelin Guide’s Bib Gourmand list this year. 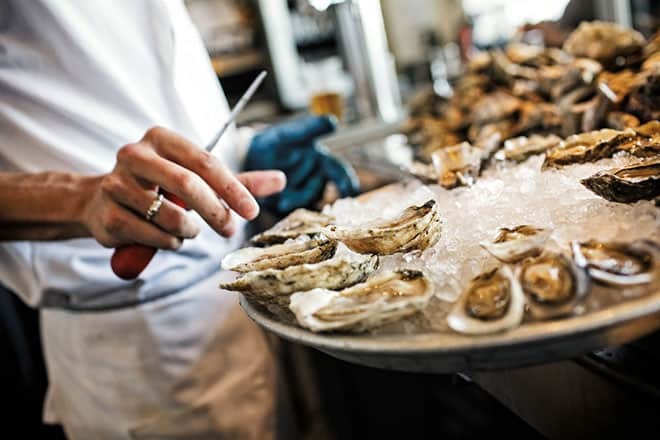 They focus on sustainably harvested seafood, including succulently fresh oysters. The staff is very knowledgeable and they know the perfect oysters for beginners to try should you find yourself with newbies. 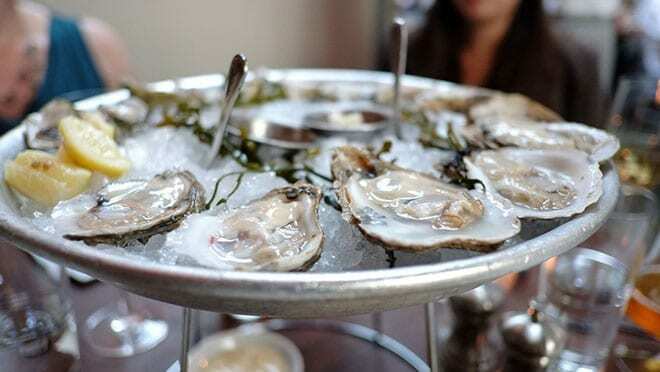 San Francisco has dozens of spots for oyster happy hours! You can get fresh, inexpensive oysters after work in nearly any part of town. 7×7 has a guide that gives you 36 oyster happy hours spots and Eater’s has their favorite oyster deals heat-mapped. I had to share two oyster dishes that are a little unique. 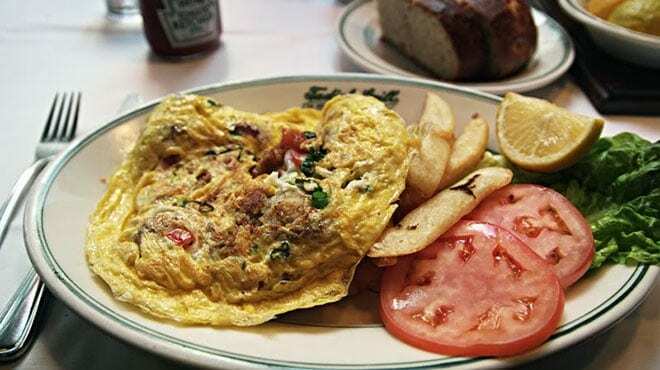 Tadich Grill’s Hangtown Fry with eggs, bacon and fresh oysters and a classic hangover meal for many San Francisco natives. 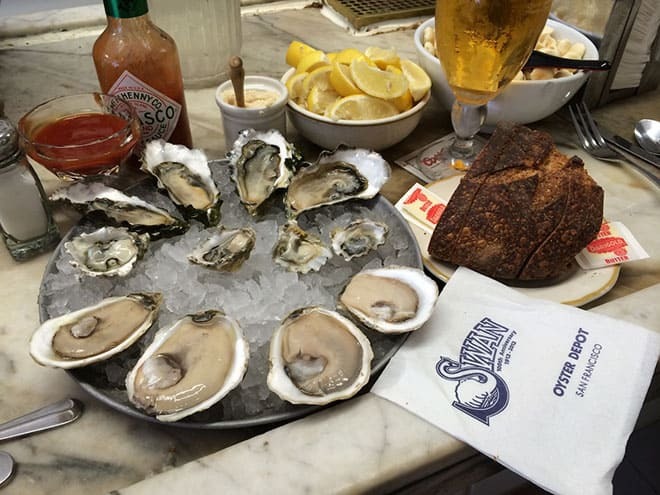 You can get fresh oysters as well from the city’s oldest restaurant along with their famous cioppino. 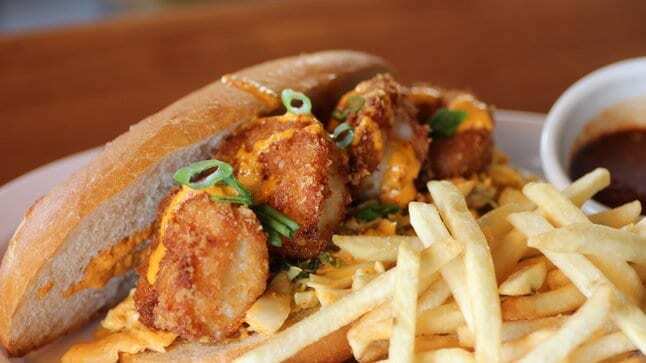 HRD Coffee Shop’s Fried oyster Po Boy is special. Yes, you can get the world’s best po boys in New Orleans, but does theirs come served with spicy kimchee coleslaw, Korean aioli, along with the delicious, melt-in-your-mouth oysters? How about you? Are you a fan of oysters? Do you have a favorite spot you go to get them? A favorite way of serving or cooking them? Do tell! I think I tried oysters just once in my life, when I spent New Year’s Eve in Paris, a few years ago. The restaurant we went in served them the normal way, with just lemon. I never thought they could be served in all these different ways, I’d love to try the fried ones! We love oysters here. We have a place that we go eat them here in NC that is as good as it is going to get away from the ocean, but these places look so nice! I just started eating oysters last year and I love them! However, I enjoy the smaller oysters we have here in New England. I ordered oysters in California this spring and they were a bit to large for me to handle. Something I’d have to get used to. @Tamara, there are smaller varieties our here as well, next time tell your server you prefer them and you will get what you want. @Katie, an oyster right out of the water is to die for! But I kind of fell the same about most seafood, the sooner you can eat it the better it is going to be! I don’t eat oysters too often-I prefer mussels-but the reality is-if there is a shell fish in my vicinity-I will eat or at least try it! Lobster will always be my favorite-boiled with drawn butter and a squeeze of lemon. I don’t eat oysters, but I do love San Francisco. It’s been so long since I was there; I’d love to go back. Not a fan myself (of clams or mussels either). Something about the texture just gets to me. Wow, what beautiful displays and plating! Each of these options have such great reasons I would love them. I don’t make it to San Fran very often but when I do, I will be bringing this list. Oysters are my favorite! I’d love to try all of these places. I love all of these and I love the set up! oyster is one of my favorite especially when it grilled together with a tasty wine. How great! I’m not an oyster fan but my husband enjoys them. We plan to head to Cali in the next few years to vacation so this is great! It was only recently that I learned to eat oysters. I love it! I hope to try all these when I visit San Francisco. I am a huge seafood fan and I love oysters. These would definitely be on my list of places to eat. What lovely places to eat oysters! Thank you for sharing your reviews and experiences with us. 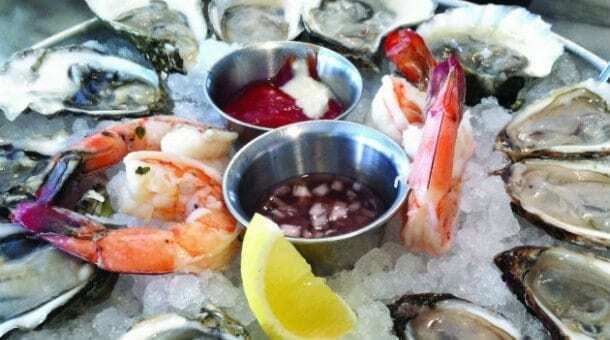 I LOVE oysters, and I definitely OD’d on seafood when I was in San Fran, although somehow I don’t think a seafood overdose is possible, come to think of it. I’m so jealous that you have all of this at your fingertips! @Colleen, what did you eat when you were here? I love eating oysters. If I was in San Francisco, I will be having a feast now! Never been a big fan of oysters but some of the other stuff looked good. I’ve never had oysters! Thanks for sharing! I don’t think I’ve ever had oysters. I’ve eaten mussels (fresh caught off the coast of Maine) and clams but not oysters. My husband loves them. Is there anything better than a good oyster? Ok, maybe a few things, but I’m a huge fan of oysters. I’ve been trying to learn about the different tastes from the different regions and it is interesting to note the difference like wine and terroir, but much more hands-on research needs to be done! @Kelly, I am with you on the research! Thus far some of my favorites in the world are those found off the Brittany coast in France! 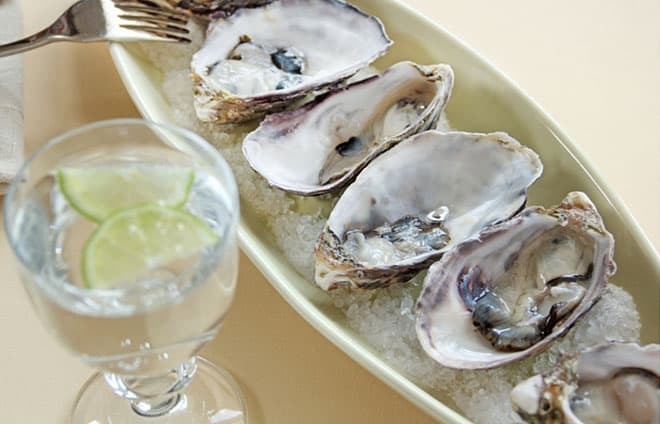 Andi, you know I love me some oysters and I’m spoiled for choice here with the Atlantic and Chesapeake Bay at my doorstep but this post has me wanting to try what the west coast has to offer. @Brianna, yes, you have to come out and do the west coast varietals! I always try to eat on the coast I am currently at. Love to have the east coast ones when I am on that side of the country! I looove smoked oysters but have never tried them fresh!! Ive heard they are fantastic but that I should pick someplace known for them 🙂 Thanks for sharing these fabulous places!! Maybe one day i’ll make it to sanfran to check them out!! Wow, I wish I lived in CA! That Waterbar place looks amazing! Lobster roll? Count me in! @Chloe, what area do you live in? Do they have seasonal specials or happy hours? 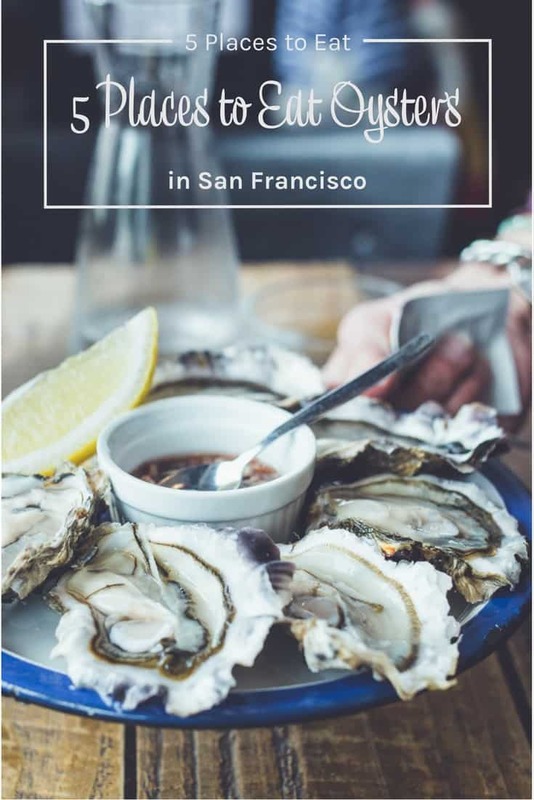 If I ever make it to San Francisco I will definitely try the oysters at one of these places, they look delicious. I’m drooling, everything looks so good. I love oysters, I haven’t had them since.. forever! Thank you for sharing. My husband loves oysters. Me I don’t think that I would like them. I have never had the desire to try them but maybe I should. I do love lobster and jumbo shrimp in garlic butter.There are many people that say oysters are so delicious that I am temted to go out to some of these places and give them a go. We would love to go here. Wish we could. All these places are awesome, especially Anchor Oyster Bar as its single panel menu covers are easy to read and understand and food is awesome.